1. Industry starts with innovation. Most industries start with several different innovators and a vast array of potential competition. However, more often than not, competition dies down over time as industry leaders emerge and increased consolidation occurs. In order to stay ahead, it is essential to figure out what your brand’s specific niche is, and create solutions specifically with that customer/audience in mind. 2. Remain relevant. Regardless of what stage your business, or industry, is in ­ you must ensure that your brand continues to be relevant and viable by continuing to look for niches in which your business can survive and thrive. While it is good to maintain your entrepreneurial spirit and see how you can break into new markets, it is equally important to provide a depth of value to your current market and work to stay ahead of the curve. 3. Peer groups can pave the road ahead. When you are in the early stages of launching and running your business, peer groups can serve as a space to provide insights from others in the industry who have been there, so you can approach challenges more effectively, before you even see them. 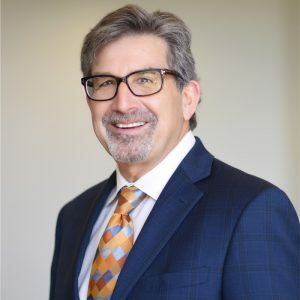 While David Mirsky shared that his brand is on the more experienced side of the table now, peer groups helped him hone his leadership abilities and be prepared for future challenges at all stages of his business’s development.